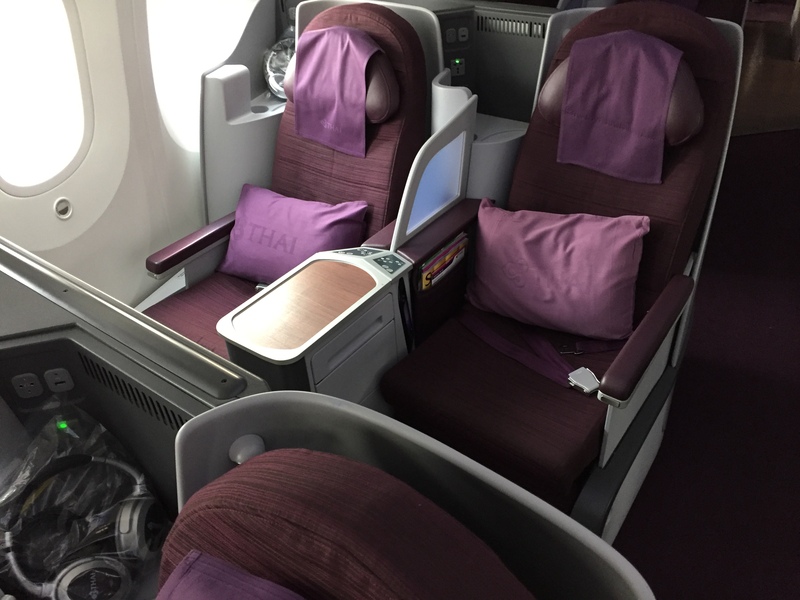 Frequent Flyer Programs are big revenue machines for airlines, and those 40% off promotions generally aren’t a good deal, but believe it or not, there are a few cases where it makes sense to buy miles. 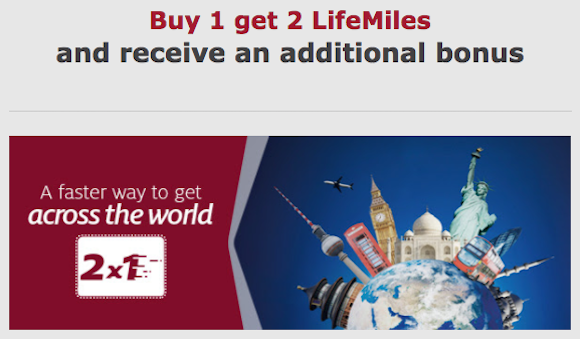 That said, I would offer that there are fairly limited times when you should and should not buy miles. 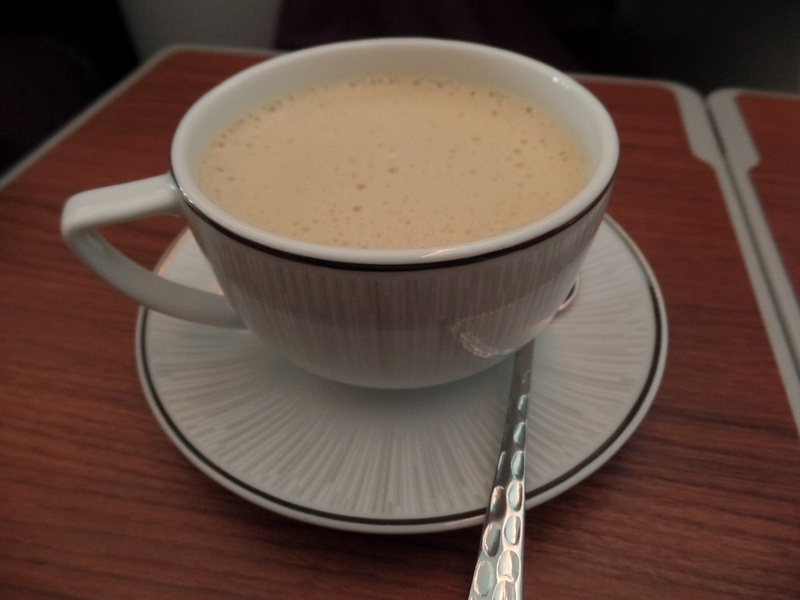 Here’s the situation: You’ve either applied to credit cards, flown, or otherwise accrued miles for that amazing trip, like Emirates First Class, but your short miles. 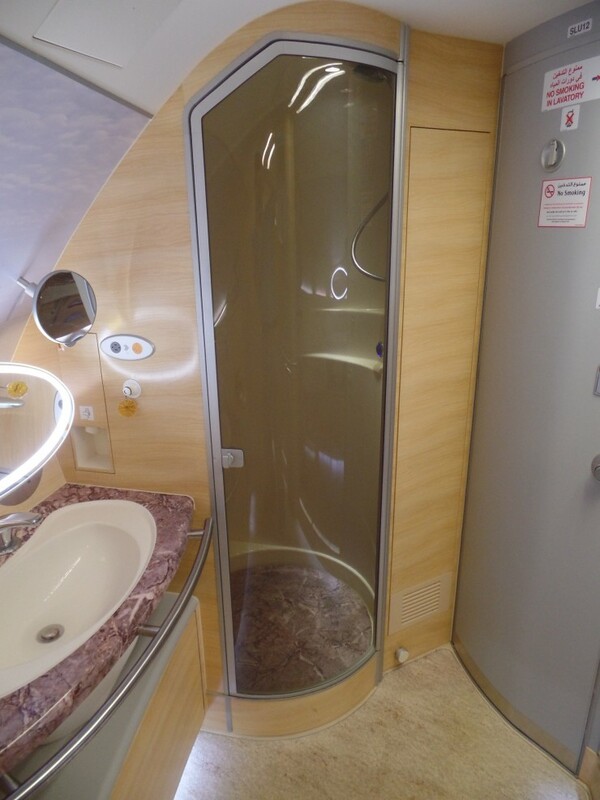 The Emirates Shower is just calling your name! If this is the trip you’ve dreamed up, well, buying miles to top up your account is not a bad idea, especially because you already have a purpose, and hopefully, you’ve already identified the availability. You have that twinkle in your eye of a trip you plan to make. You’ve started to look for award availability, and you see something that might work. You might have some of the miles, but not enough. Your trip is far enough out, that you have some flexibility, that is key. That’s when you start looking for opportunities to buy miles at a discount, since you already have a purpose. Note: this only makes sense when you have a trip in mind! Never buy miles speculatively! 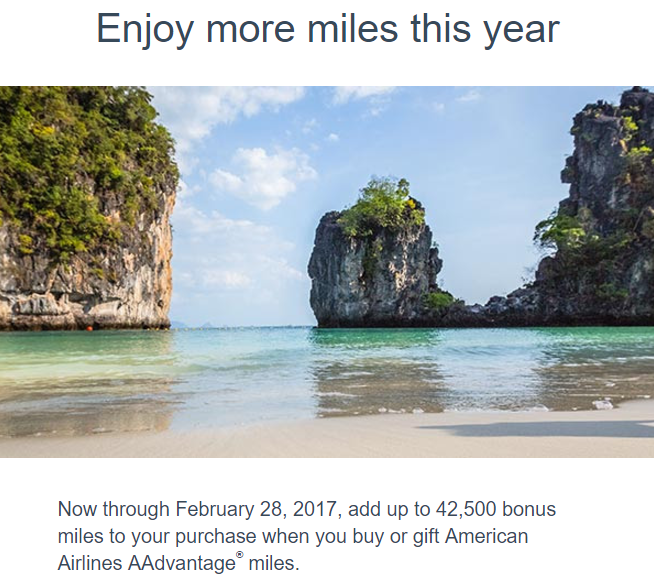 Lets say you do this, and effectively buy miles at a 125% bonus, you’d be paying ~1.47 cents per miles (based on One Mile at a Time’s calculations). 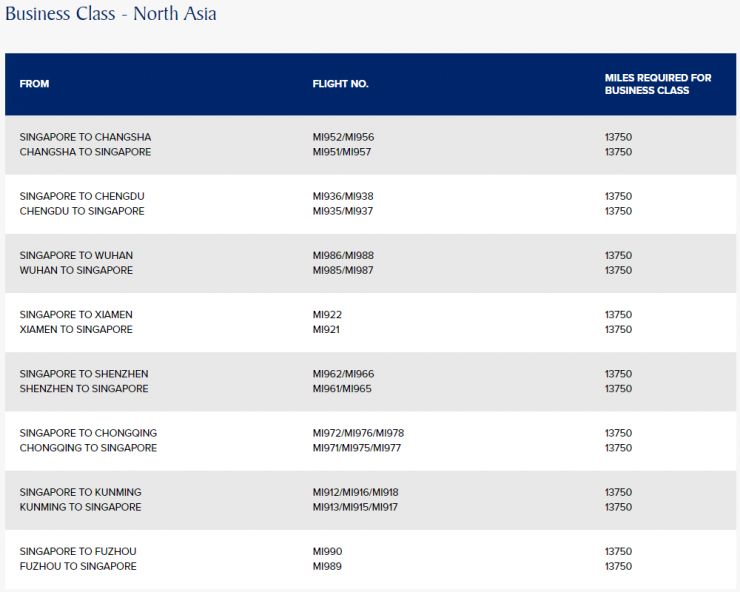 For example, if you consider a trip to North Asia from North America, at 75,000 each way in business class, your cost is: ~$2,205 plus an booking fees. 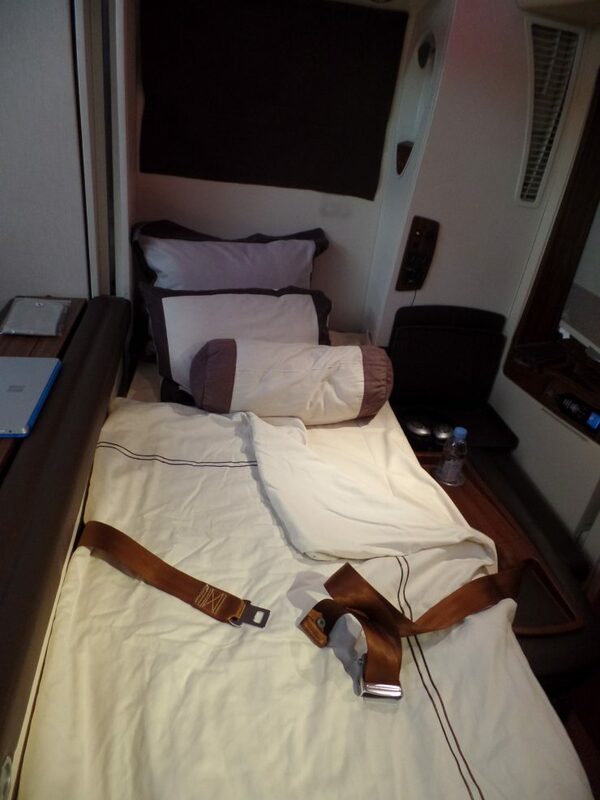 You could fly in this layflat seat to Asia! 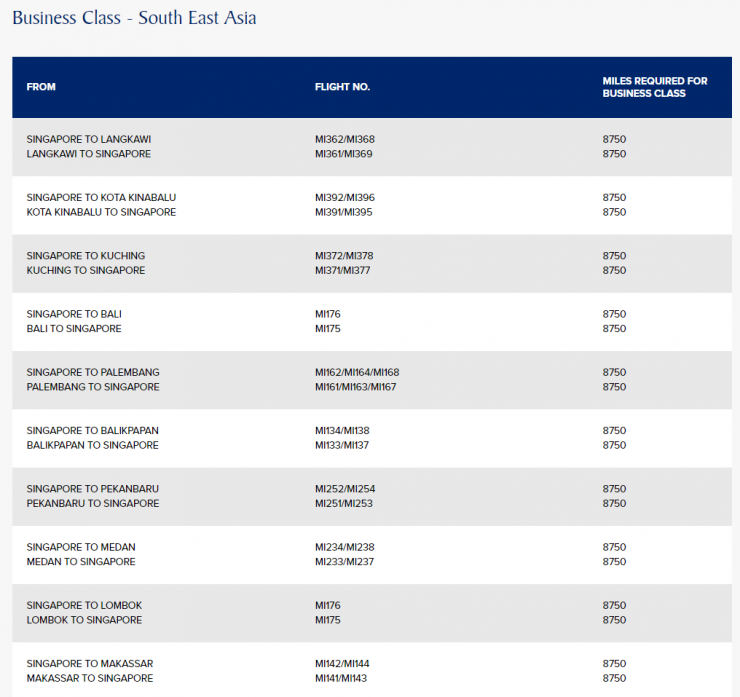 My point here is that you can effectively buy miles and thus get business class travel–assuming award space–for just over half the price of booking an actual ticket. 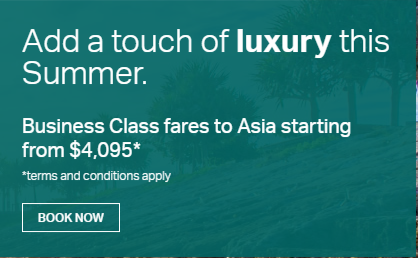 You could do it for even less from the US to Japan by purchasing Virgin Atlantic miles, if you have ~10-20k miles already; you could purchase 100,000 Virgin Atlantic miles for only 1,515 GBP or ~$1966 at current rates. 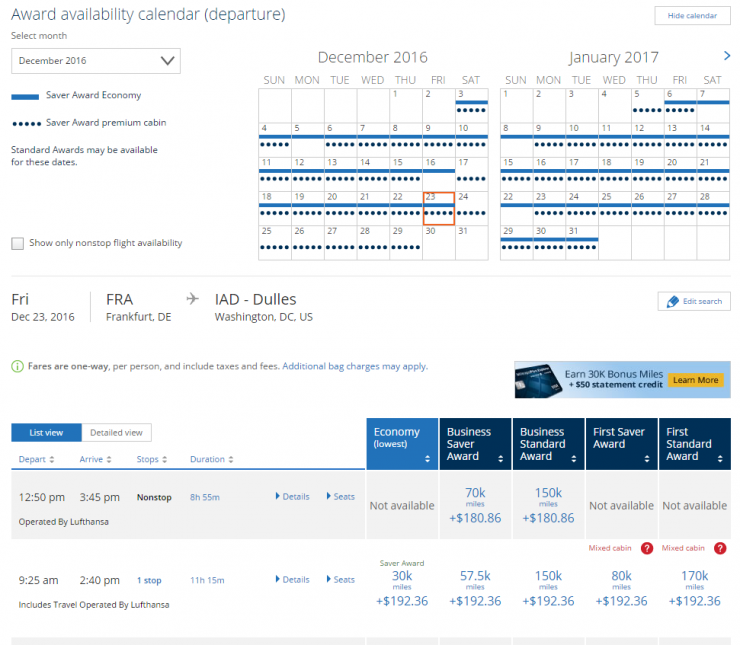 There are considerations though – for example, you won’t earn miles, and you may have award booking fees. If you need to change your trip, there are likely fees as well–but most revenue fares also have fees. 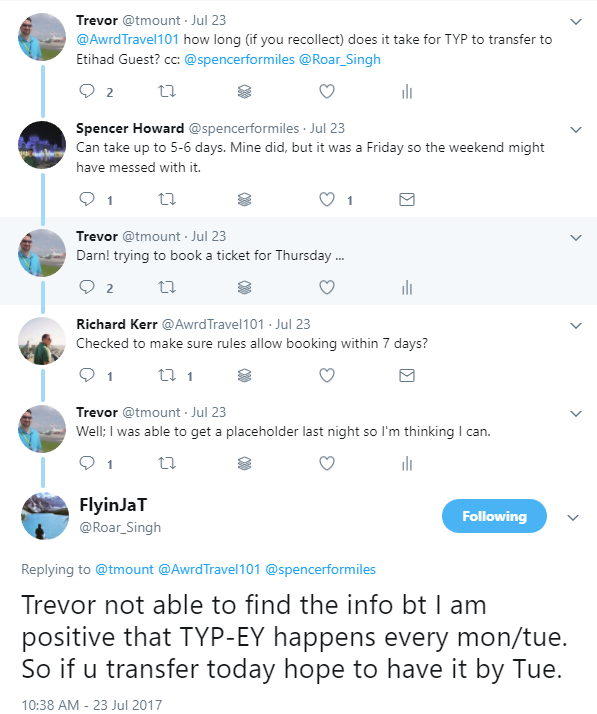 Often times I would not recommend folks buying miles, but there are at least 3 situations when that makes sense. 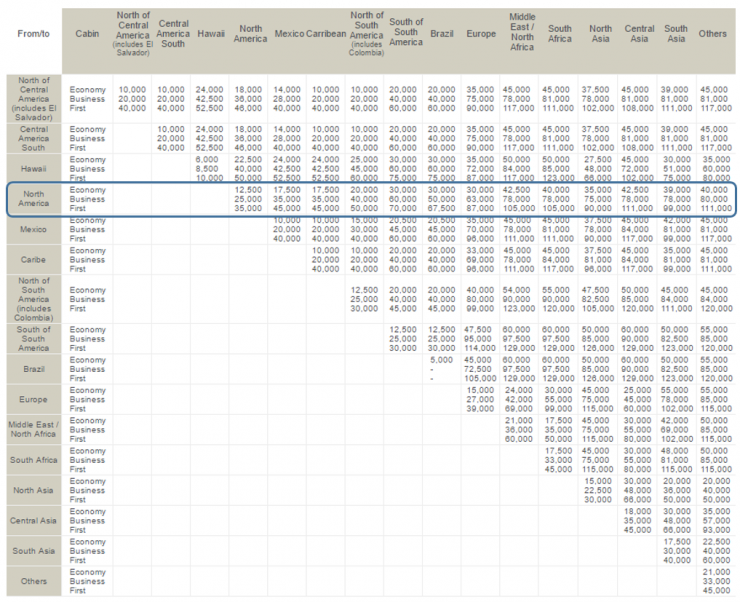 For infrequent international travelers, I think the value proposition is a much bigger difference. 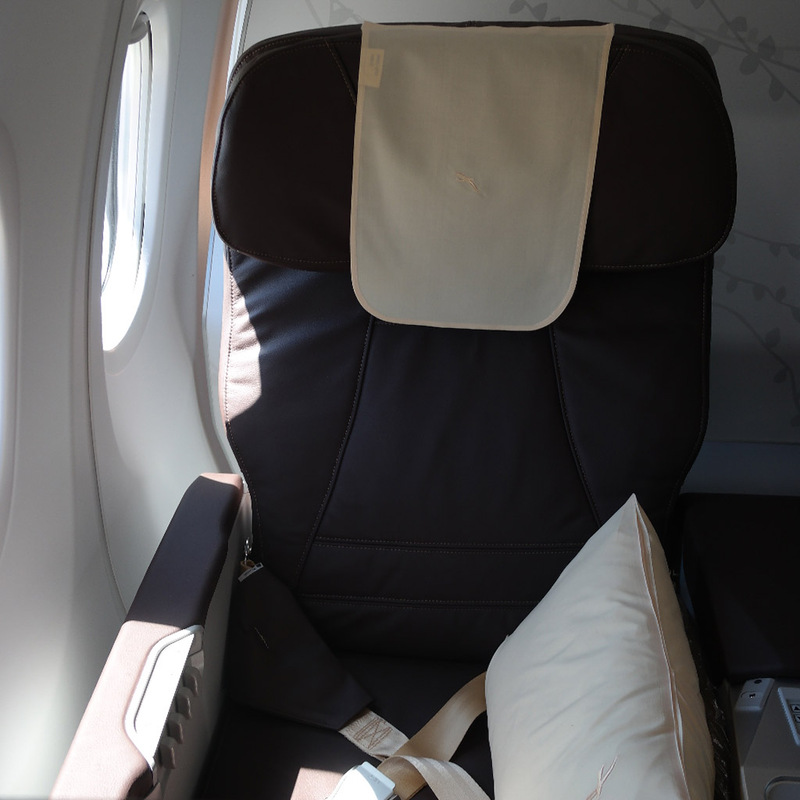 When you consider the kind’ve experience that you’ll enjoy in a layflat seat vs. an economy seat, its a big difference! Of course I’m much more focused on the journey than the destination, but when you can arrive rested and refreshed to the destination, then I’d imagine it helps you more fully enjoy your entire trip. 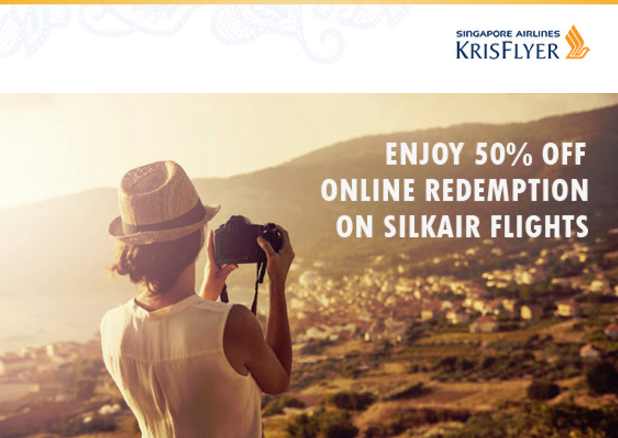 Have you bought miles to facilitate a trip? 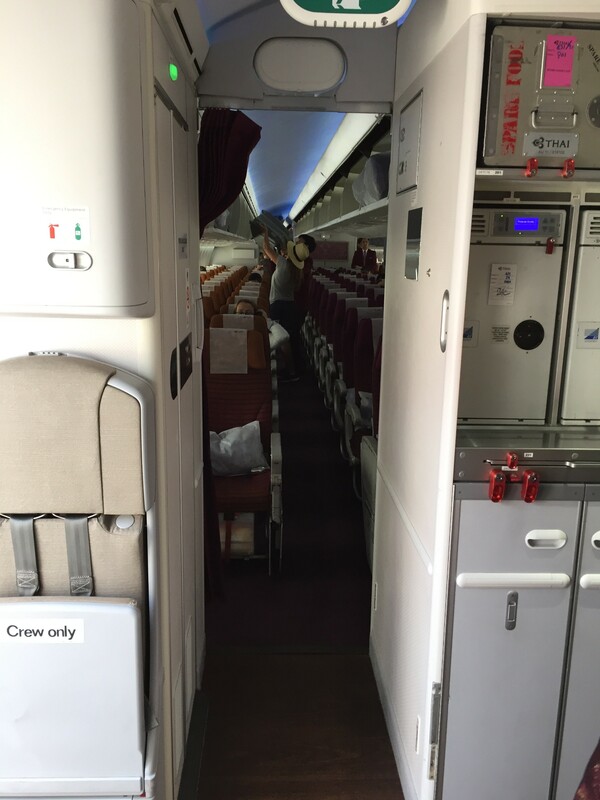 To set the stage, I was yearning to get on a plane. 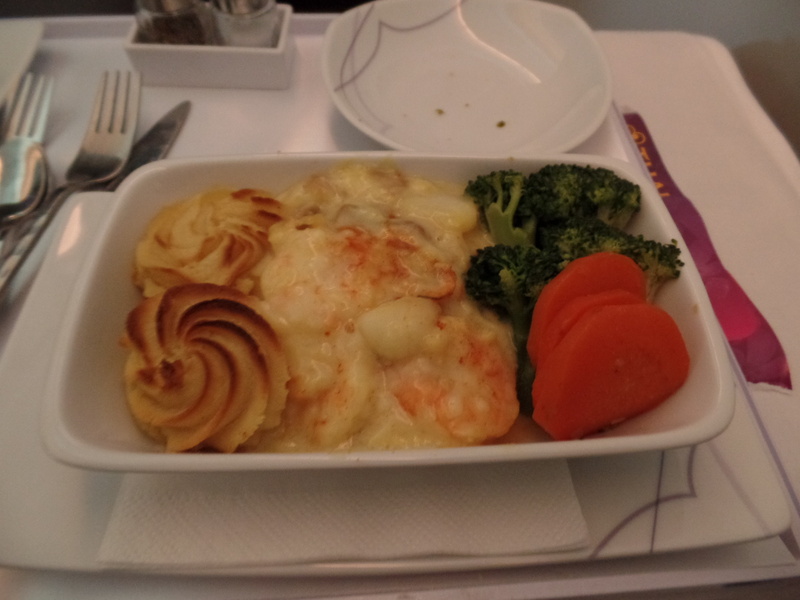 It was the end of October, and I hadn’t been on a true long haul flight since the end of July. The end of July! I was getting stircrazy. Searching the British Airways Search tool, Searching United.com, Searching ExpertFlyer, searching for flights someplace that we could do a reasonable visit of in no more than 2 days off of work. 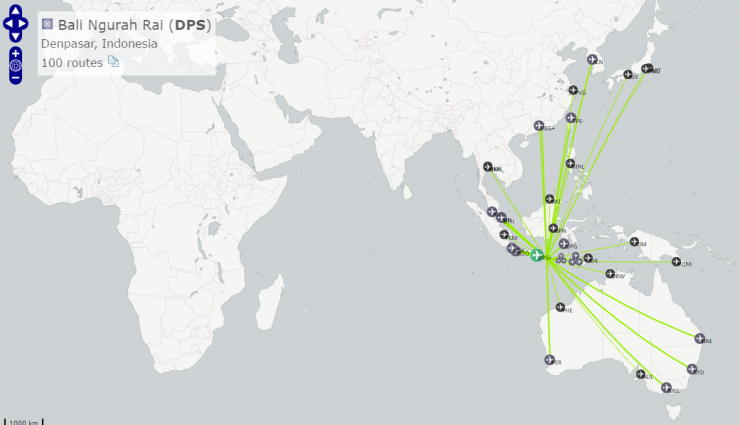 I was originally looking to go to Cambodia, but the flights just didn’t want to line up. I also really, really wanted to fly EVA Air. So, rather than make things complicated—as I am known to do—I decided to go the simple path. 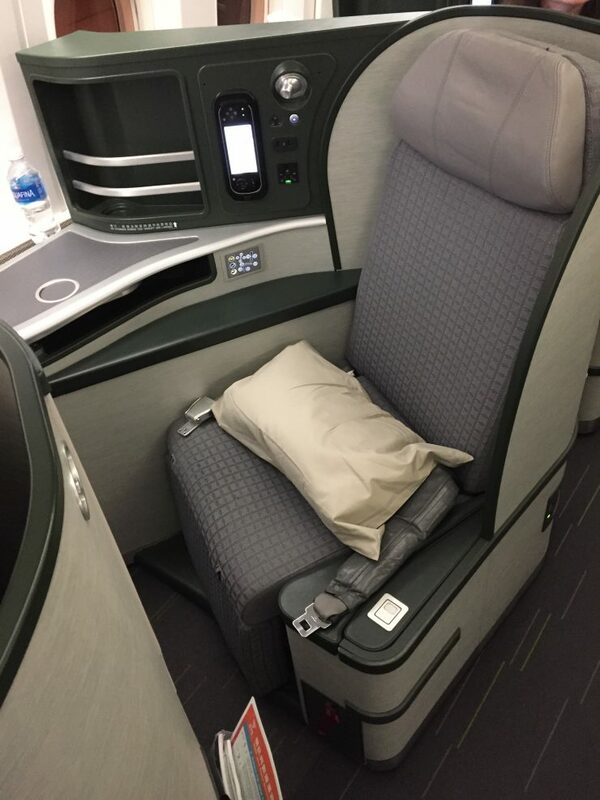 EVA Air is one of Taiwan’s more widely known airlines, they are a Star Alliance member, which meant I could redeem some Ultimate Rewards points via United, or Membership Rewards points via Aeroplan, or nearly any transferrable currency via Singapore KrisFlyer. My next concern was where to stay. Despite the World of Hyatt news, this frequent leisure traveler is determined to requalify Diamond and become a Globalist—I think I’m going to put that on my business card. 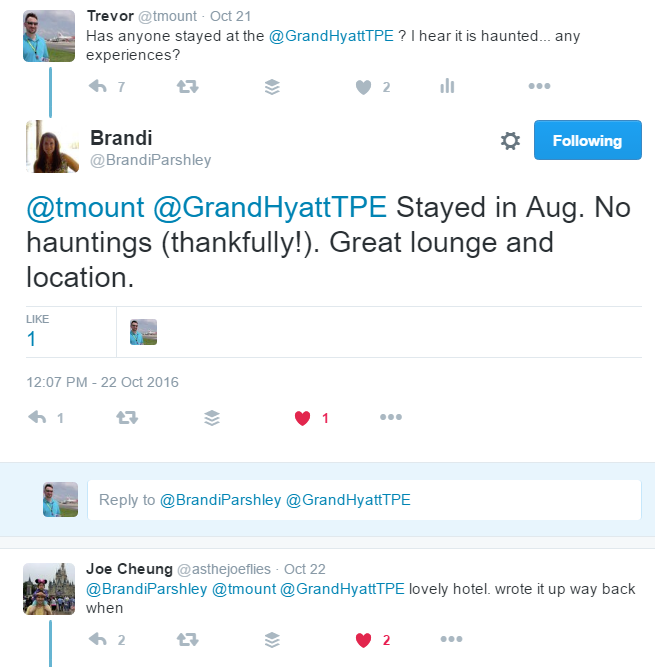 So, my next concern was that the Grand Hyatt Taipei was rumored to be haunted. How appropriate that we were staying there over Halloween weekend! A quick turn to the Oracle of Twitter allayed my concerns. Next, I needed to get home. 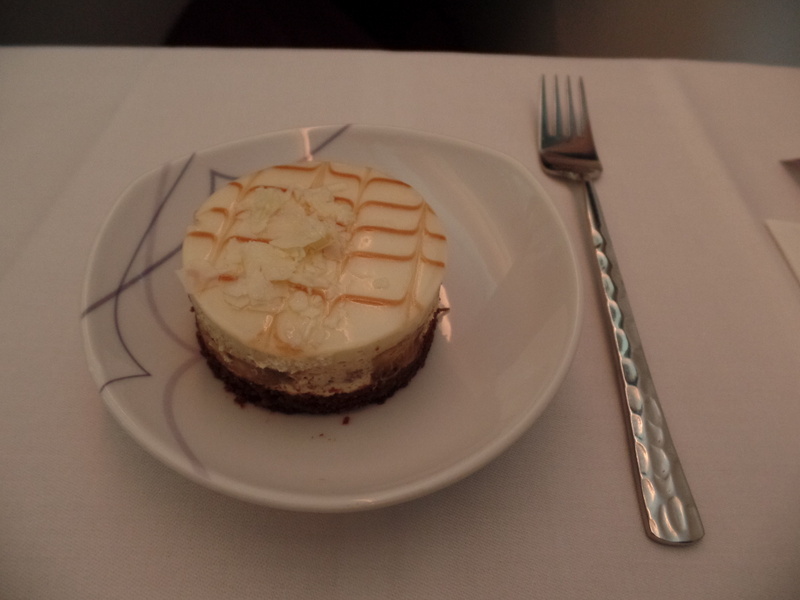 A week earlier, my wife had jumped at the chance to fly Cathay Pacific First Class, we had done that last year and very much enjoyed it. Alas, that space was phantom, but, I ended up finding space in the 4 days between when we booked Business Class, and left. I only found 1 seat though, and ExpertFlyer was showing F2 (and went down to F1, meaning Cathay Pacific was only selling 1 seat in First Class). 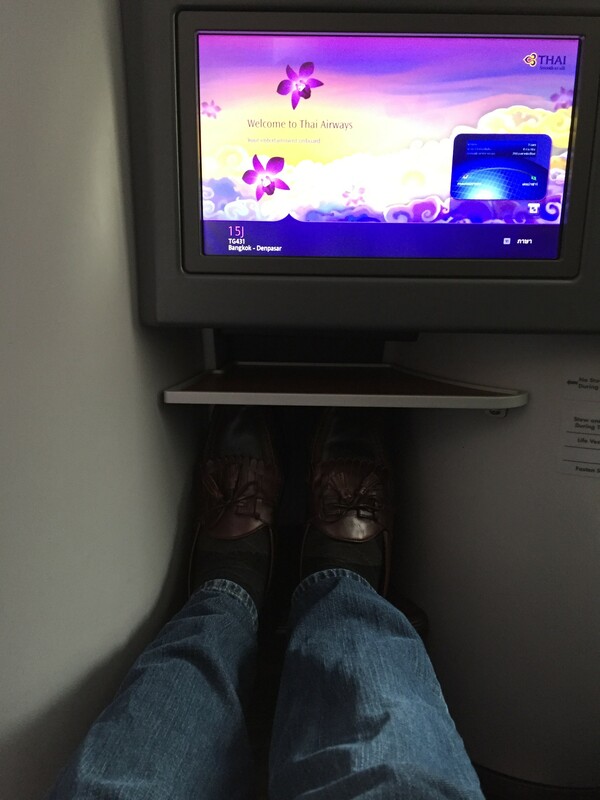 I put my wife up in First and accepted my likely fate in Business Class. Alas, the day before we were due to leave, I took to twitter on my T-Mobile Apple iPhone 6, and low and behold, the American Air team was awesome, just proving that if you don’t ask, you don’t know. Overall, the trip was a great weekend, if only 50 hours on the ground in Taipei, it was well worth the miles, and proved to be a very memorable trip. A friend of mine MilesWhip pointed out to me a rather significant development with the Chase Sapphire Reserve. He pointed out that Southwest Points are no longer valuable if you have a Chase Sapphire Reserve. While I don’t fly Southwest often, I do fly Southwest a few times a year. Chase Sapphire Reserve, courtesy of ThePointsGuy. Why do I say this? 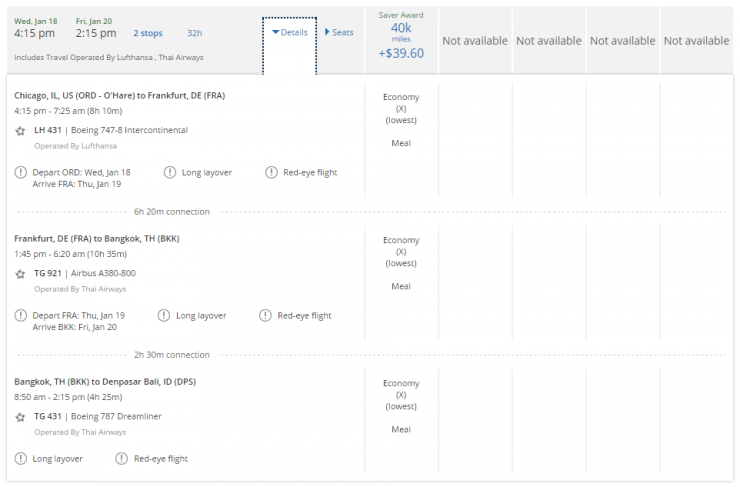 Because, if you go based on the argument that Southwest Points are worth roughly 1.5 cents per point, and you can book travel via the Ultimate Rewards Travel (over the phone), with the Chase Sapphire Reserve, you get 1.5 cents per dollar. In other words, you get the same value, however, going through Ultimate Rewards, you can still earn Southwest Points on your flight. You could transfer points to Southwest and then book awards at roughly 1.5 cents of value, and earn nothing for your travel. You could use Ultimate Rewards Travel and book flights on Southwest for 1.5 cents per point, and earn Southwest Points for your travel. 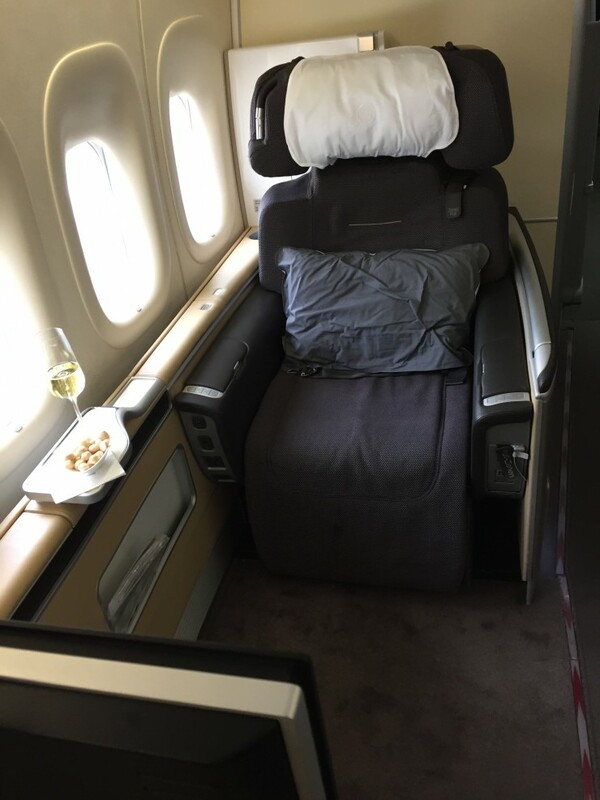 You could transfer your ultimate rewards points to United and fly Lufthansa First Class. Ok… maybe not that. 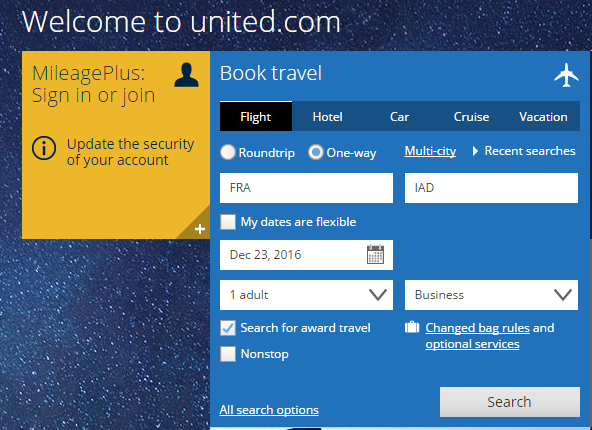 And if you have a Southwest Companion Pass, fear not, booking through Ultimate Rewards Travel is no problem. Book your ticket, then call up Southwest and add in the companion pass. Simple as that. With the Chase Sapphire Reserve, transferring Ultimate Rewards to Southwest doesn’t make sense. You can actually earn more by booking through Ultimate Rewards. 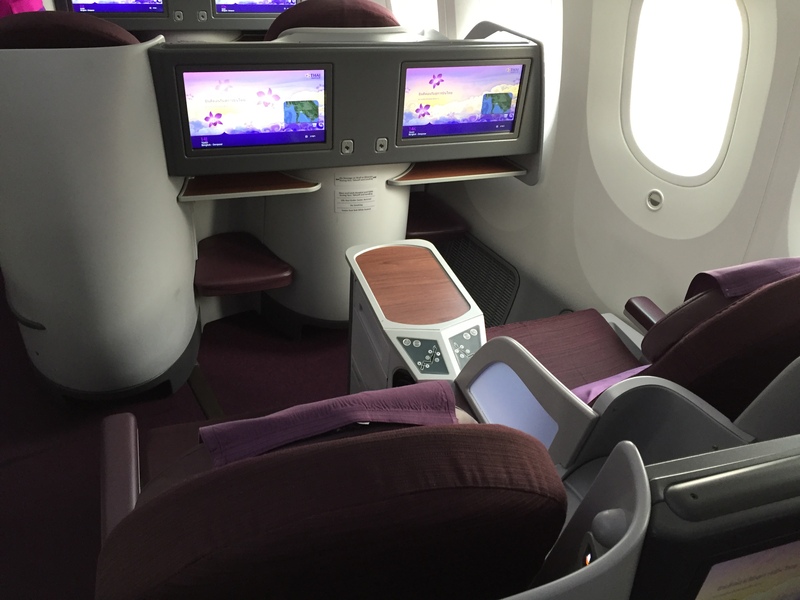 I haven’t seen anyone else review the Thai Airways 787-8, so I thought sharing a brief review of Thai Airways 787-8 Business Class in 8 Photos would be well received. I’ll share a more extensive review when I get through the rest of my trip. 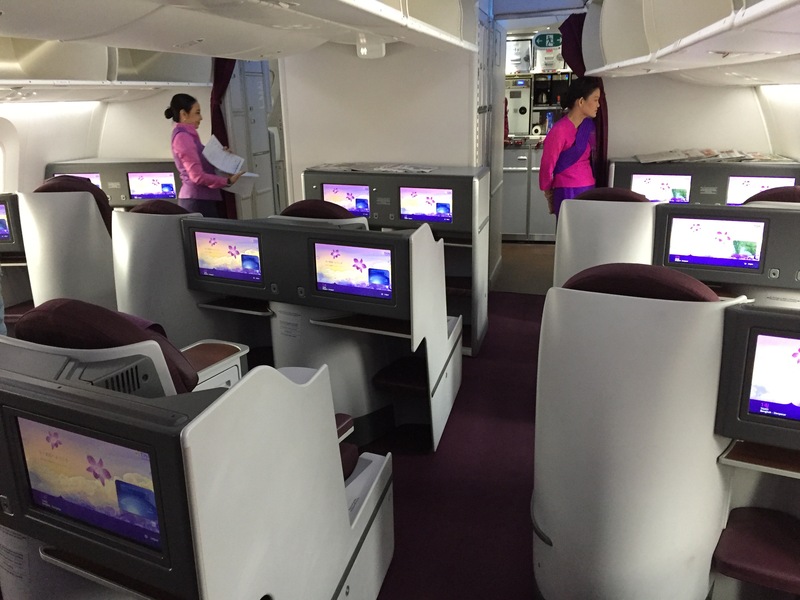 The Business Class cabin wasn’t terribly large, it’s only 5 rows, starting at row 10, finishing at row 15, with 6 seats per row (so 30 seats total). The seat itself is a B/E Aerospace seat. It’s not my favorite, but for a 4 hour flight, it is more than sufficient. 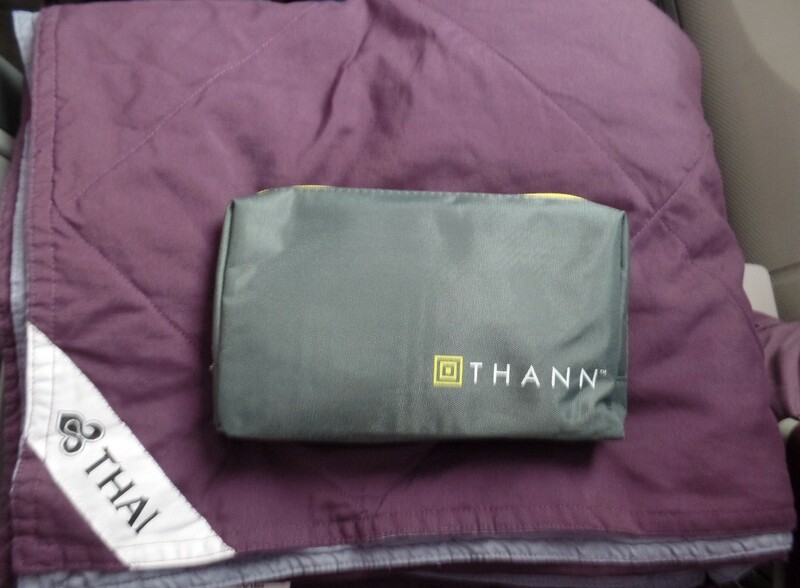 Even though it was a four hour flight we got blankets to use and an amenity kit to keep. The food service was good but not spectacular. The In Flight Entertainment (IFE) had a great selection and a nice bright screen. I don’t think Thai has gotten the new darker windows, because as we were flying during the day, the windows were pretty bright (compared to the lights being out in the cabin). Oh, by the way this is a view of economy (note I kept my distance). Because I really appreciated the comments on my beautifully shined shoes here’s another shot of them!